USA. Georgia. Kingston. 1996. Church of Lord Jesus Christ (Pentecostal church). 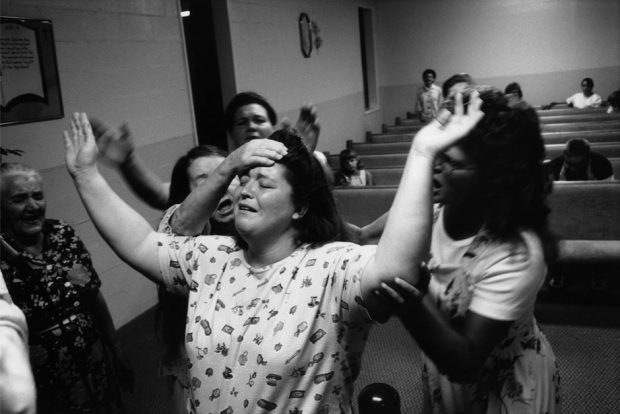 "Holy Spirit" taking possession of a woman, during a spirited service.